So said writer and journalist Janet Flanner, when she explained her decision to move to Paris in 1922 with her lover, Solita Solano. The pair settled on rue Bonaparte in Saint-Germain and started writing novels. But it was as a journalist that Flanner really found her voice. Before arriving in the French capital, Solano and Flanner had traveled in Greece, en route to Constantinople, where Solano was on assignment for National Geographic. The pair, who were alienated from their claustrophobic lives in New York, didn’t make it back to the states — instead, they landed in Paris, where they made a home. When Harold Ross and Jane Grant founded The New Yorker magazine in 1925, they hired Flanner to write a regular letter from Paris. 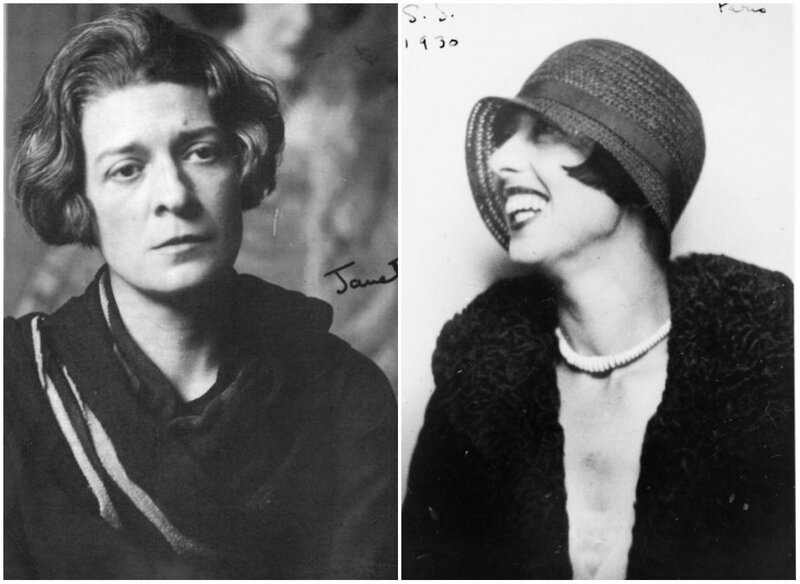 Under the pen name Genet (which Ross amusingly thought was French for Janet), Flanner’s letters became a staple of the magazine right up until she was forced to leave Paris prior to the German invasion. When she returned after the war, the letters started up again. 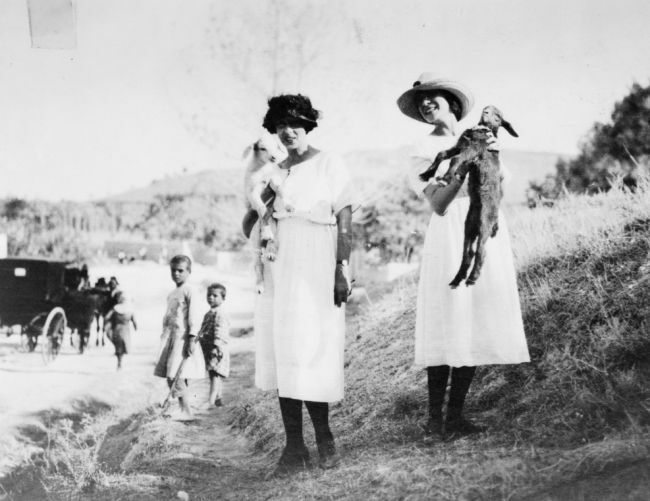 Solita Solano and Janet Flanner, near Knossus, Crete, 1921. Flanner and Solano made a model bohemian expat life together — decorating their home, according to Wineapple, with “leopard print throws” and flea market treasures, and passed their time having brioche together in a cafe for breakfast, doing errands during the day, and writing in the afternoon and early evening, sometimes departing afterward for a visit to the book stalls and a dinner of couscous and mint tea. They hung out at Sylvia Beach’s Shakespeare & Company bookstore, took short vacations to Brittany and Normandy, and entertained friends like F. Scott Fitzgerald. 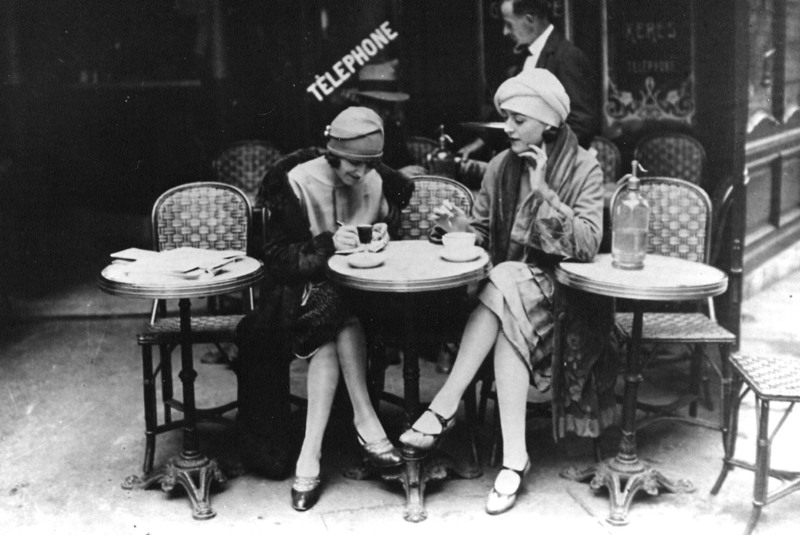 Solita Solano and Djuna Barnes in “Café Le Dome”, Paris, 1922. 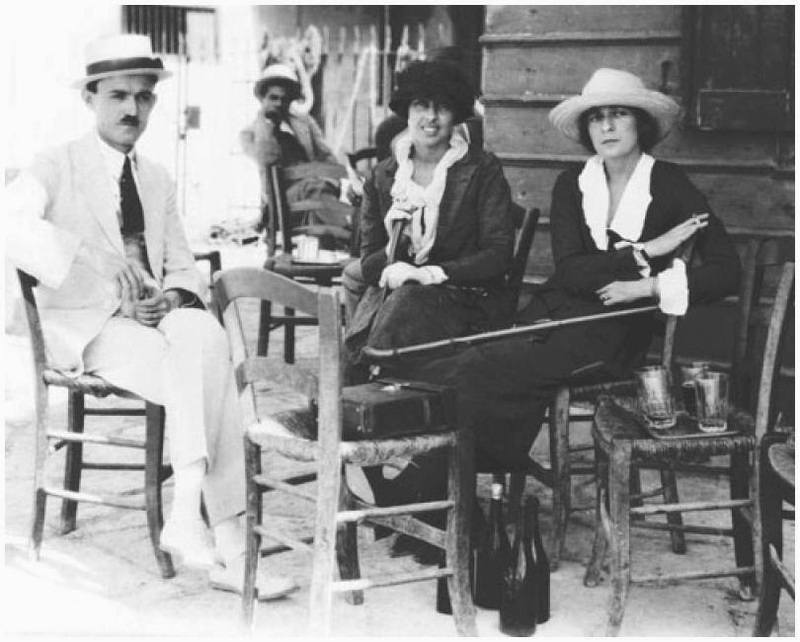 Solita Solano, Janet Flanner, and a man seated outdoors, Crete, 1921. 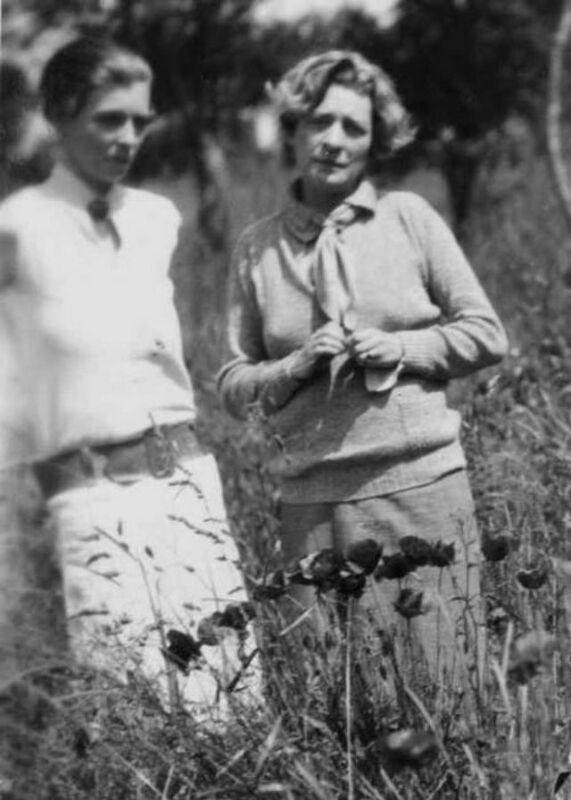 Nancy Cunard and Janet Flanner, standing among flowers in field, 1926.